Unleash Dimebag’s hellish tone with your iPad and iPhone. 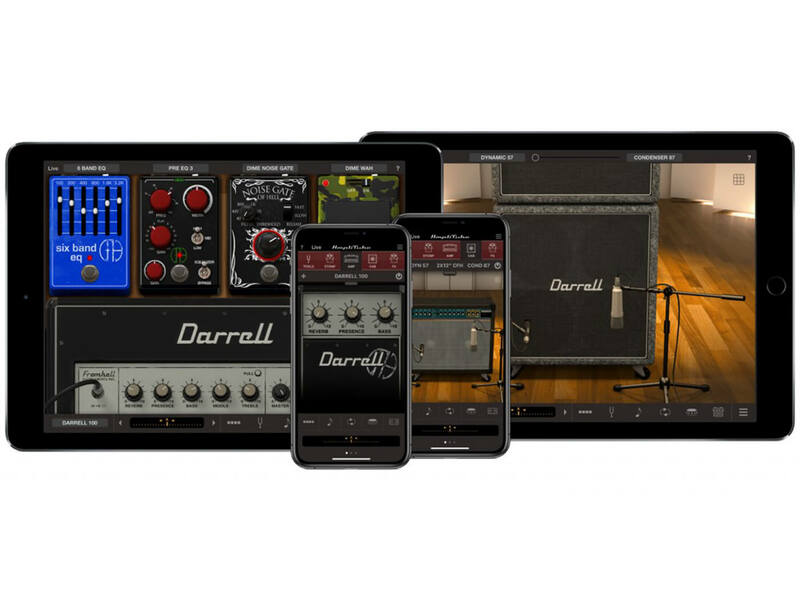 Last year, IK Multimedia’s AmpliTube desktop software was beefed up with the Dimebag Darrell CFH Collection. The same collection is now available on the AmpliTube CS apps for iPad and iPhone, comprising nine models sampled from gear used on Pantera’s Cowboys From Hell. The nine models include emulations of two amplifiers, two cabinets and five stompboxes used by Dimebag on his Cowboys From Hell rig. To get a more accurate profile of the late guitarist’s tone on the classic album, IK Multimedia roped in his long-time guitar tech, Grady Champion. Available individually for $6.99 or as part of an All-Amp Bundle for $49.99. Available individually for $3.99 or as part of an All-FX Bundle for $49.99. The collection as an in-app purchase at $19.99. Also available as an All-In bundle for $149.99. More information at ikmultimedia.com.